This week I’ve done something I’ve been meaning to do for months – I’ve finally branched out to another e-book platform. 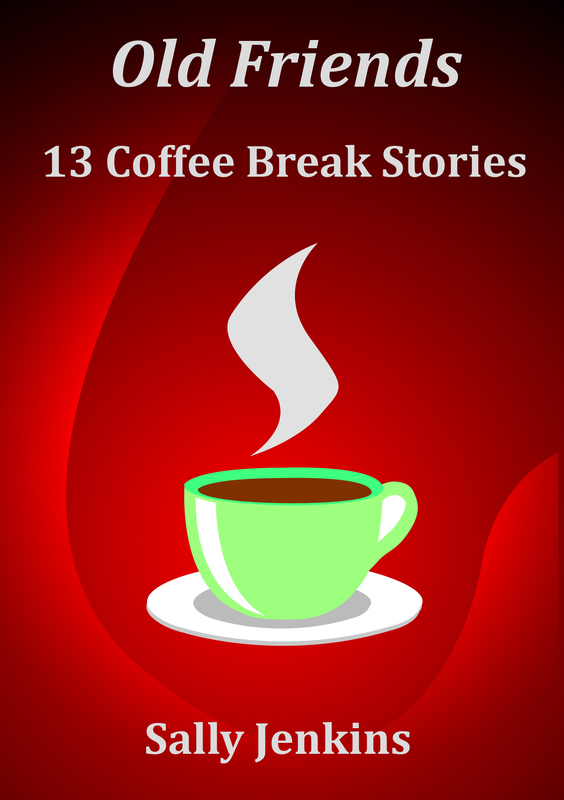 Old Friends – 13 Coffee Break Stories is now available on Kobo as well as Amazon Kindle. This collection is my Kindle ‘best seller’ and hasn’t been enrolled in KDP Select for a long time meaning I’m free to publish it elsewhere. So, how did I find the Kobo publishing process? The hardest part was creating a Kobo login ID to allow me to start the process. If the email address entered into Kobo is registered to a Facebook account then Kobo requires you to login with your Facebook credentials. I didn’t want to do this and went round in circles until I discovered that the only way to keep my Kobo and Facebook accounts separate was to login to Kobo initially with my Facebook account and then, within the Kobo ‘My Account’ page, un-link Facebook from my Kobo account. Kobo accepts manuscripts in a variety of formats, including Microsoft Word .doc and .docx, and then converts them to .epub. Initially I uploaded my manuscript as .docx but when I checked the finished product using the Kobo previewer (which isn’t as good as the Kindle one) the line spacing seemed very wide. So, I downloaded the free conversion software Calibre and converted my .docx file to e.pub. Then I uploaded the .epub file to Kobo and the result looked much better. This all sounds very complicated and technical – but it’s not! There is a guide available on the Kobo website full of tips about how to format your Word document to ensure the best results. I used the same manuscript that I’d formatted for Kindle according to the instructions in Mark Coker’s Smashwords Style Guide and, once I’d discovered Calibre, had no further problems. Having said that, if anyone downloads the Kobo version and finds the formatting isn’t up to scratch – please let me know! This entry was posted on April 4, 2014, 12:05 pm and is filed under Computers & Technical. You can follow any responses to this entry through RSS 2.0. You can leave a response, or trackback from your own site. Well done, Sally! I’m just starting to embrace Kobo too (their website is to easy on the eye and restful compared to the busier Amazon page) and I understand sales on their devices are picking up now, so it sounds like a good time to get on board! Thanks for dropping by, Debbie. Let’s hope that now’s a good time to get on board with Kobo – their e-readers are very cheaply priced in WH Smith now. Thanks for sharing, Sally, as always these are really helpful posts. Glad you find them useful, Tracy. Thanks for sharing your experiences. I’ve only done the Kindle thing so far. Kindle is the biggest market, Julia but if you’re not using the promotional KDP Select tools then it makes sense to try the book elsewhere as well. Another learning curve – but I’m sure you’ll skip up it! I don’t know if I am creating unnecessary work, but I am planning to buy InDesign and set text for both print and e-book. Do Kindle and Kobo look completely professional? I’ve no experience of creating a print book, Hilary, so I can’t comment on that, also I’m not up to speed on Kobo yet. However, I think that self-published Kindle books look just as good as Kindle books from ‘proper’ publishers as long as proper attention has been paid to proof-reading and checking the format in the Kindle previewer prior to publication. I’m only talking about text-only novels/short story collections/non-fiction. I have no experience of including pictures, diagrams etc. Where self-published e-books can let themselves down (& I’m probably guilty of this too!) is the book cover – it’s very easy to spot self-published book covers. Remember that with an e-book you don’t design each page, the whole book is simply a long block of free-flowing text. There are no page numbers and the only ‘forced’ page breaks are at the end of chapters. Readers can change the font size on e-readers and therefore what one reader sees after 10 page turns will be a completely different page to what another reader might see. I’ve not used InDesign but would guess that it will be more useful for the print book rather than the e-book. Hope this helps and best wishes with your project! Thanks, that’s very helpful indeed. I was going use InDesign for both the text-only novel and the non-fiction illustrated book I am working on (though there is some hope of mainstream publication for this). I think I will need both print and e-book for both. Actually even the fiction will need a map – I hope you can include a map in a a kindle book. Thanks for passing on the info Sally. I’ve heard lots of good things about Calibre. Apparently you can store and organise your Kindle books on it too. I think I remember that correctly. It does look that way, Swanview, although I haven’t yet investigated that aspect. Great post and good luck with the book on Kobo.